A Halloween adventure for kids and the kids at heart at Discovery Shores Boracay, a luxury resort on Boracay Island. Various spooktacular activities are in store from 24 to 31 October 2016. For arts and crafts, creative kids will have the chance to make their own Halloween inspired greeting card, masks and t-shirt design. To indulge their sweet tooth, the Halloween cupcake decorating activity and Spooky Smores Bar will definitely be sure hits. For an afternoon of thrills, make sure not to miss the Halloween Scavenger Hunt. To cap off the week-long activities, “The Secret of Hallow Inn” is revealed at the beachfront on 31 October. The main program starts at 3pm and the Hallow Inn horror house opens at 6:30pm. Winners for the Best Halloween Costume will be chosen after the event. Registration at the main lobby will be from 10am to 2pm. Tickets to the “The Secret of Hallow Inn” is at PHP 750 nett per child and PHP 500 nett per adult and is inclusive of snacks, giveaways and fun activities! To join the event, please go to http://www.discoveryshoresboracay.com/the-secret-of-hallow-inn. 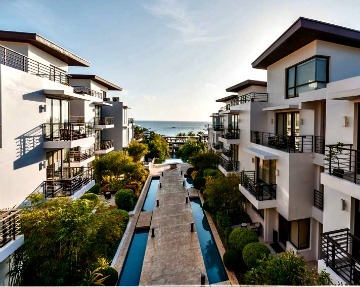 The resort is consistently listed in Travel + Leisure’s World’s Best Hotels and is a regular awardee on TripAdvisor.